A lot of times I work with data that has blank cells in it. If not handled, this could create havoc when these blank cells are referenced in formulas. I usually fill these blank cells with 0 or NA (Not Available). 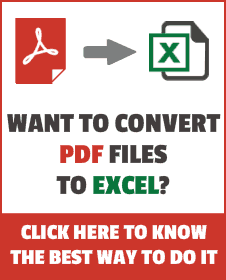 In huge data sets, it is practically impossible (or highly inefficient) to do this manually. 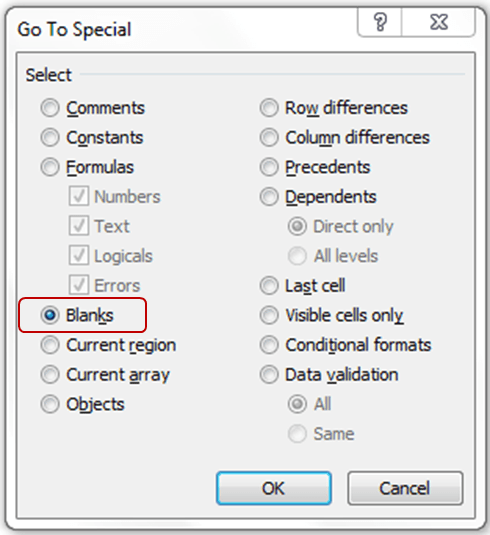 Thankfully, there is a way to select blank cells in Excel in one go. 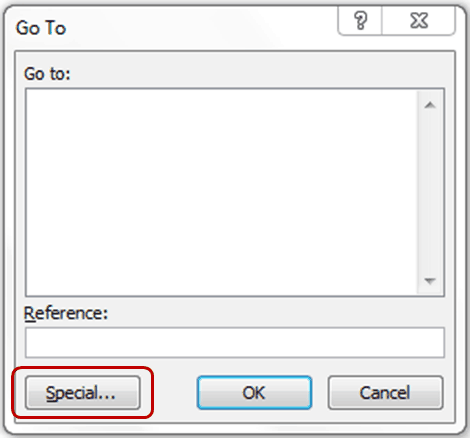 3 Quick Ways to Select Visible Cells in Excel.